It is April and it is that time of the year again to get soaked around the streets of Thailand during its hottest month of the year! Are you ready for your upcoming Thailand travel to celebrate Songkran Festival? 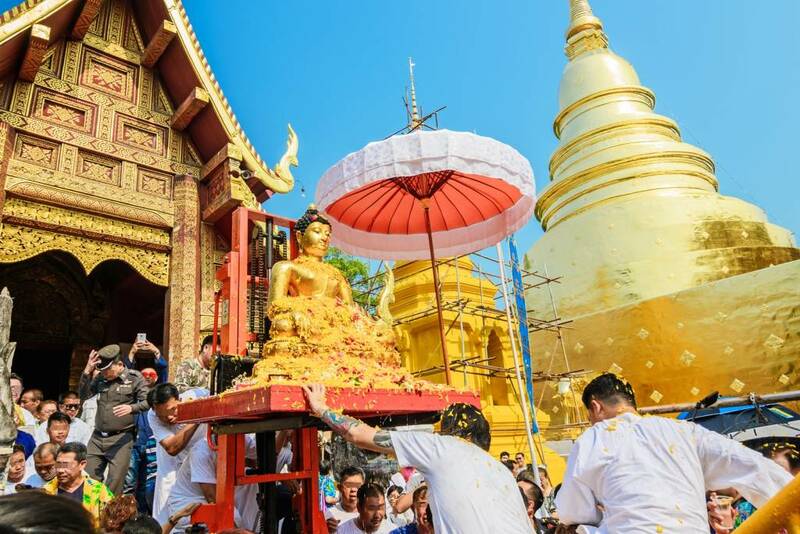 Unleash your inner child heart and ready your water pistols as we take you to celebrate Songkran in Chiang Mai, where the celebration of Thai New Year is at its best and most fun! This gate serves as the entrance to Chiang Mai’s old city and also known to be one of the historical Chiang Mai attractions. You won’t believe how massive the water fight is in Tha Pae Gate until you experience it yourself! People everywhere have their own water buckets and pistols ready. In fact, all ages from the young ones up to the elders are participating in the water battle. Moreover, there are stages that are set up where you can watch various performances and competitions. 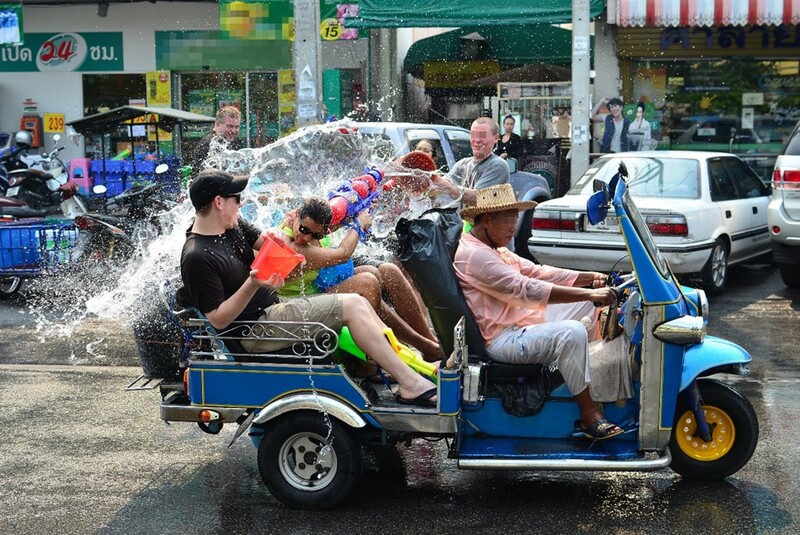 Riding a tuk-tuk during Songkran in Chiang Mai is a different experience compared to riding one during the ordinary days. It is one of the best things to do during this Thailand festival. It would feel like you are in a water park ride as you roam around the area and squirt your water guns to people who are walking. There are also pickup trucks loaded with barrels full of water that roam around but this doesn’t mean that you have a lesser chance to get wet because you don’t! 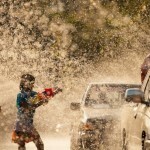 Aside from the fun part, the traditional way of celebrating Songkran in Chiang Mai isn’t forgotten. 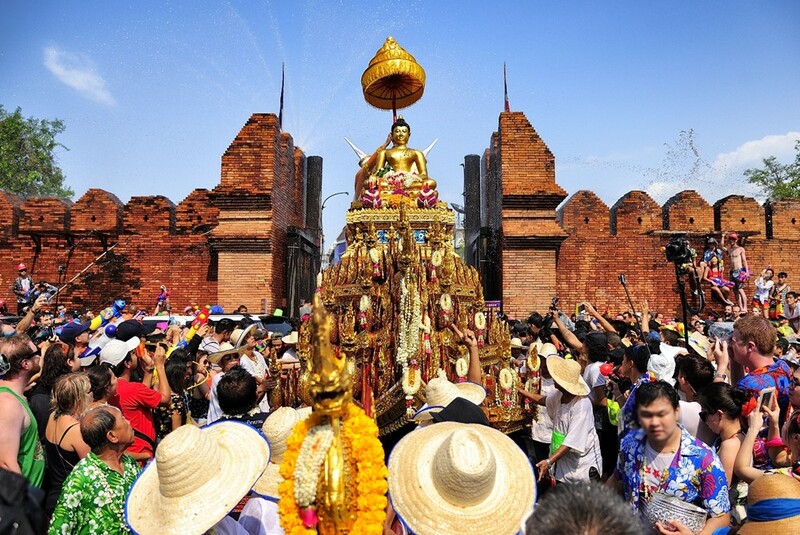 Sacred statues of Buddha from different temples in Chiang Mai are brought out and paraded throughout the streets of the city. 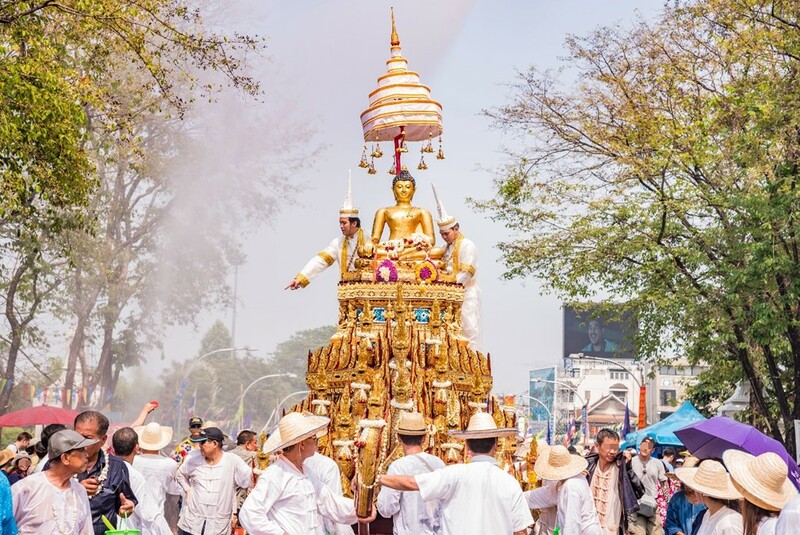 In line with the traditional way of the celebration, Buddhists gently sprinkle water on the said statues to symbolize cleansing, good luck, and to pay respect. Splashing water at each other is until 6 PM only but the celebration doesn’t end here. 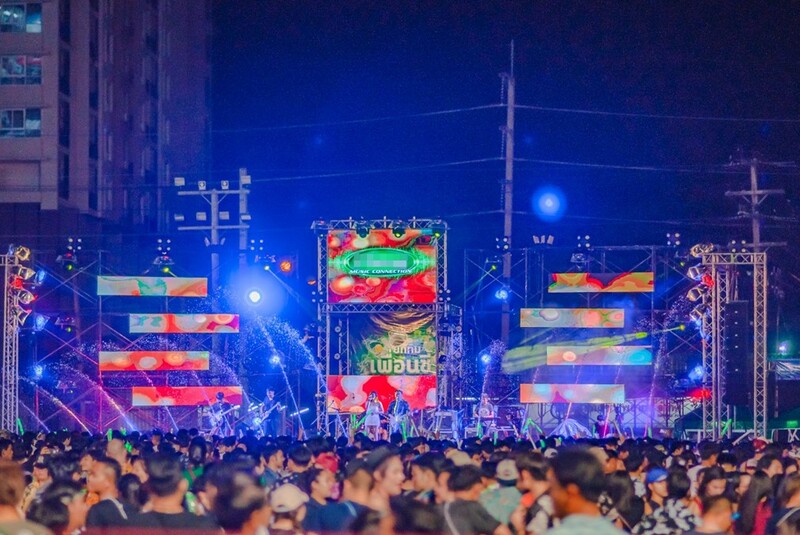 When the sun sets during Songkran in Chiang Mai, many bars will have their parties already. They will be jam-packed with locals and tourists that are drinking, dancing, and just having fun. During early mornings, monks are usually seen on the streets as they go out and walk to collect alms. It would be a great way to give back to those who dedicated their lives to teach good values. 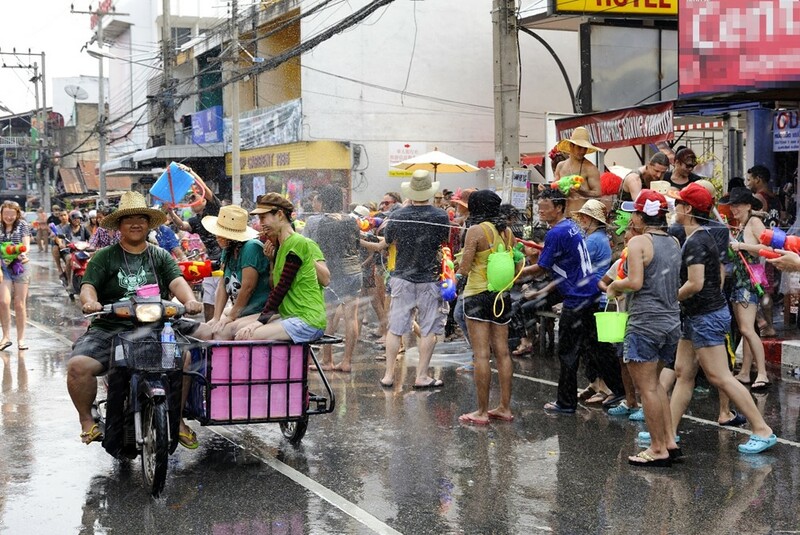 After all, doing something this meaning during Songkran in Chiang Mai adds up to the whole unforgettable experience! 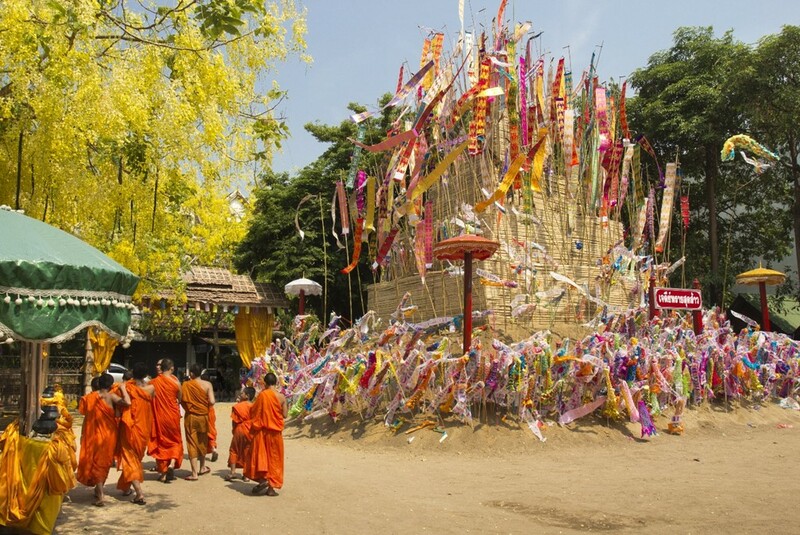 Chiang Mai is truly one of the places to visit in Thailand for it excellently shows its cultural side. Also, it is arguably the most fun place to celebrate the festival. Have your tickets ready and book your flights to Chiang Mai at Bangkok Airways.